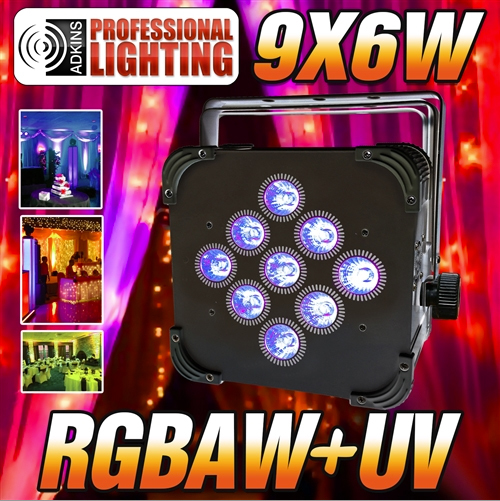 This package includes 6 black wireless battery powered LED up lights, an easy to use controller and a charging flight case.The Adkins Professional Lighting 9x6 Watt RGBAW+UV FlatPar is a compact, low profile par designed for up-lighting and stage lighting, and will bring color and excitement to any party. On a full charge these Battery Powered Up Lights can last 16 + hours of battery life for single color at full intensity and 5 + hours of battery life for all colors at full intensity. You can make 16.7 million color combinations from the RED, Green, Blue, Amber, White +UV LED’s with a Black Case. 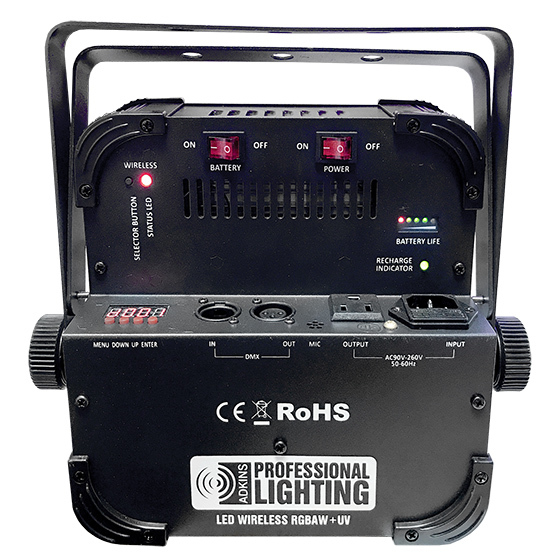 It has a 25-degree beam angle, 5 operational modes (including DMX, Sound Active and Master/Slave), and has two DMX modes: 6 Channel and 9channel for a variety of programming options. 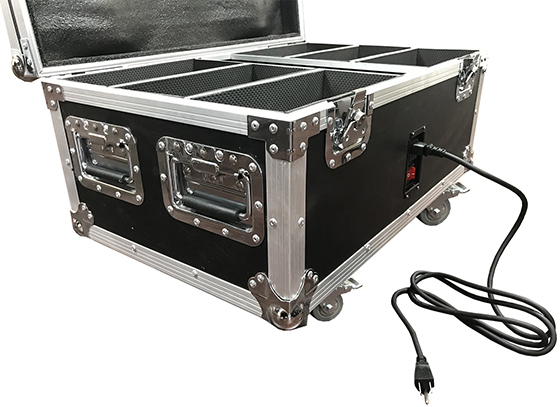 The Adkins Professional Lighting Up Light Charging Flight Case is the perfect solution for safely transporting and charging your LED wireless battery light fixtures. This durable, rolling road case easily handles all the punishment a mobile entertainer can throw at it. When the gig is over, simply connect the fixtures to the internal charging module and use the external plug to connect directly into standard wall voltage. The next day, your fixtures are fully charged and ready to go again. 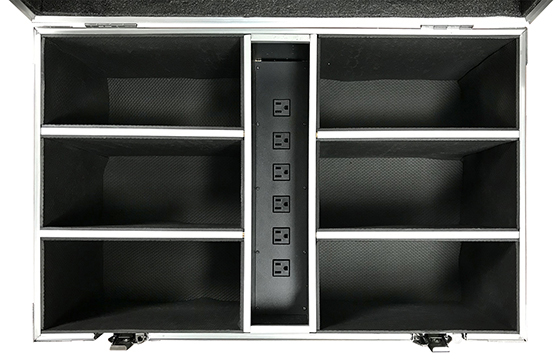 Each case holds up to 6 fixtures with enough space for all power cables.